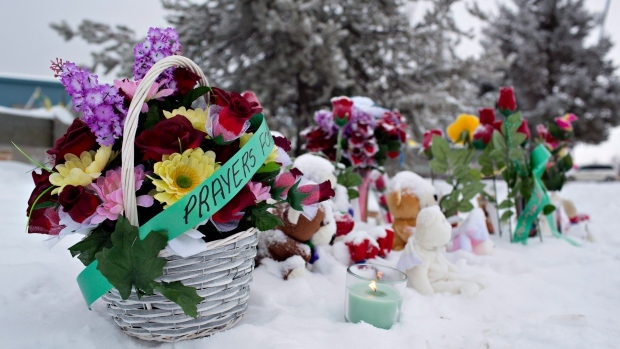 LA LOCHE, Canada - Teachers are returning today to a northern Saskatchewan high school that was the site of a deadly shooting, while the suspect also makes a court appearance. The La Loche high school has been closed since a teacher and an aide were killed and seven other people were wounded in the shooting January 22nd; two teenage brothers were also found dead in a nearby home. The school division says its plan to re-open classes includes an open house and cultural event for students on Wednesday. That's the same day the community is organizing what is being called a Reclaiming Our School walk. A 17-year-old boy, who can't be named under the Youth Criminal Justice Act, is scheduled to appear in court in Meadow Lake today. He is charged with first-degree murder and attempted murder.